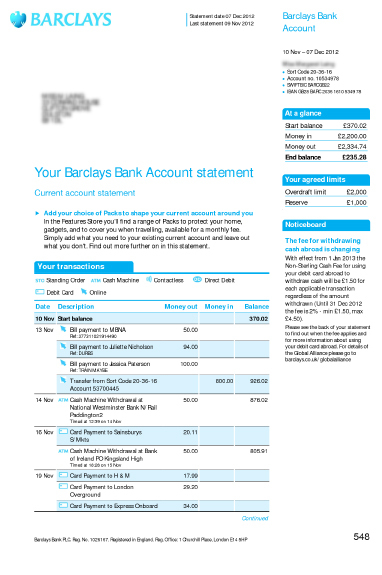 If you need a paper copy of a statement for proof of address or identification – eg, for a mortgage or visa application – you can view, download and print statements in Online Banking (if you're registered). Or you can order copies of previous statements by calling Telephone Banking (if you're registered) or visit a branch. Depending on the company you need it for, you might be able to use your Online Statement as proof of address. However, if the company won't accept a printed Online Statement, you can request a paper statement that will be sent to your home address. If you're registered for Telephone Banking, call 0345 734 5345*.